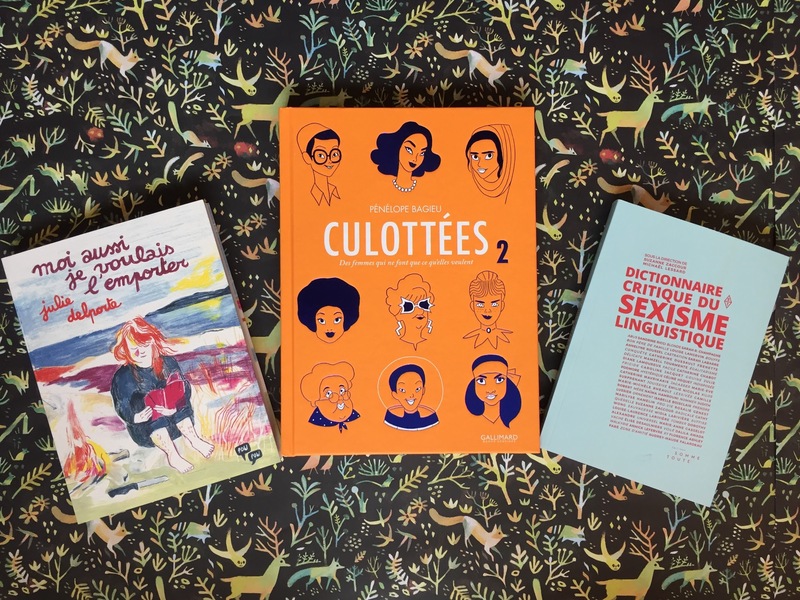 On Friday, April 27th, at 7pm, join Véhicule Press for their Spring Books Launch and Reading at La Petite Librairie Drawn & Quarterly, hosted by editors Carmine Starnino and Dimitri Nasrallah. Originally from New Brunswick, Pamela Mulloy’s short fiction has been published in the UK and Canada. She lives with her husband and daughter in Kitchener, Ontario where she is the editor of The New Quarterly. The Deserters is her first novel. Juliana Léveillé-Trudel has been working as an educator in the Nunavik region of Northern Quebec. She writes for the stage, and was a founder of the Théâtre de brousse. Nirliit is her first novel. She lives in Montreal. Anita Anand (translator, Nirliit) is the author of Swing in the House and Other Stories, winner of the 2015 QWF/Concordia University First Book Award. Laura Ritland’s poems have appeared in ,The Fiddlehead, CNQ, The Walrus, Maisonneuve, Arc Poetry Magazine, and The Malahat Review. A recipient of the 2014 Malahat Far Horizons Award for Poetry, she currently divides her time between Vancouver and California, where she is a PhD student in English at UC Berkeley. A young woman from Montreal follows the geese to the Inuit North in this deeply-felt witnessing of contemporary Indigenous life, as shaped by decades of colonial rule and government neglect. Having worked in the North for years, Juliana Léveillé-Trudel offers a portrait of a people undaunted by institutionalized racism, but in many cases broken by domestic violence, corporate mining, and the corrupting presence of summer workers up from the South in search of big paycheques. Delivered across two searing monologues, Nirliit transcends historical divisions to make a meaningful, individual connection. East and West, Laura Ritland’s astonishing poetic debut, is a book of visions. These are roving poems drawn to defamiliarizing points of view, exquisitely attentive to the way the world exceeds our senses. Lucid and intelligent, elegaic without being maudlin, East and West explores the “middle ground” of childhood, family, diaspora, and migration, and how new cultural ideas can disrupt traditional perspectives. One of the most distinctive debuts in recent Canadian poetry. Join Coach House Books on Monday, April 30th, at 7pm, to launch their spring fiction titles -- two debut novels from Julie Demers and Aaron Tucker -- at La Petite Librairie Drawn + Quarterly! JULIE DEMERS was born in Quebec City in 1987, grew up in Drummondville and now lives in Montreal. A film studies graduate, she heads up workshops across Canada on Quebec cinema, and her work has appeared in cultural magazines. This is her first novel. AARON TUCKER is the author of two collections of poetry, irresponsible mediums: the chesspoems of Marcel Duchamp and punchlines, as well as the two scholarly manuscripts Virtual Weaponry: The Militarized Internet in Popular Cinema and Interfacing with the Internet in Popular Cinema. His current collaborative project, Loss Sets, translates poems into sculptures which are then 3D printed; he is also the co-creator of The Chessbard, an app that transforms chess games into poems. In addition, he is a lecturer in the English department at Ryerson University. LITTLE BEASTS: A little girl with a beard must find herself a home in this contemporary fairy tale.It's 1944, and a little village in rural Quebec sits quietly beside an aging mountain and an angry river. The air tastes of kelp, and the wind keeps knocking over the cross. Beside that river an eleven-year-old girl lives with her parents. Her mother is very sad, and her father has vanished because he can't bear to look at his own daughter. You see, this little girl has suddenly sprouted a full beard.And so her mother has shut the curtains and locked the girl inside to keep her safe from the townspeople, the Boots, who think there's something wrong with a bearded little girl. And when they come for her, she escapes into the wintry night Translated from the French, Little Beast turns the modern fairy tale on its bearded head. with special guest reader Fawn Parker launching her Anstruther Press chapbook Weak Spot. Originally from Victoria, BC, Michelle Brown lives in Toronto with her husband and three-legged dog Bo. Previously shortlisted for CV2's Young Buck poetry prize and longlisted for the CBC poetry prize, Safe Words (Palimpsest Press, 2018) is her first full-length collection. Klara du Plessis is a poet, residing in Montreal, but growing up in Bloemfontein, South Africa. Klara’s chapbook Wax Lyrical—shortlisted for the bpNichol Chapbook Award—was released by Anstruther Press in 2015. Poems, essays, and reviews have appeared in print and online. She curates the monthly, Montreal-based Resonance Reading Series and is the editor for carte blanche. Fawn Parker is a writer from Toronto. She is the author of Looking Good and Having a Good Time (Metatron, 2015) and is co-founder of BAD NUDES Magazine. She is the recipient of the 2017 Irving Layton Award for Fiction for her story “Wunderhorse II.” She lives in Montreal with her cats Jerry and George. Multilingually inflected, Klara du Plessis’ first collection of poetry explores the multiplicity of self through language, occupying a liminal space between South Africa and Canada. A sequence of visceral, essay-like long poems, du Plessis’ writing straddles the lyrical and intellectual, traversing landscapes and fine arts canvases. Ekke is a watershed debut from one of Canada’s most exciting young voices. From a student’s confrontation with a teenage streaker, to a company man’s complete undoing at his summer party, Michelle Brown’s Safe Words finds rich darkness in happy partnerships. A maiden name is “handed down / like a sweater”, a taxi ride “ends… at someone else’s life”. Played against a backdrop of pop culture, late-night swagger and vivid imaginary landscapes, Safe Words is the rare poetic debut that delivers passion and control, wielding humour and empathy in equal parts. Each month we host a Graphic Novel Book Club meeting, open to all, during which we hang out and informally discuss a featured graphic novel. Our pick for this April is Von Spatz by Anna Haifisch. We will meet at La Petite Librairie Drawn & Quarterly (176 Bernard Avenue West) on Wednesday, April 18th at 7 p.m. 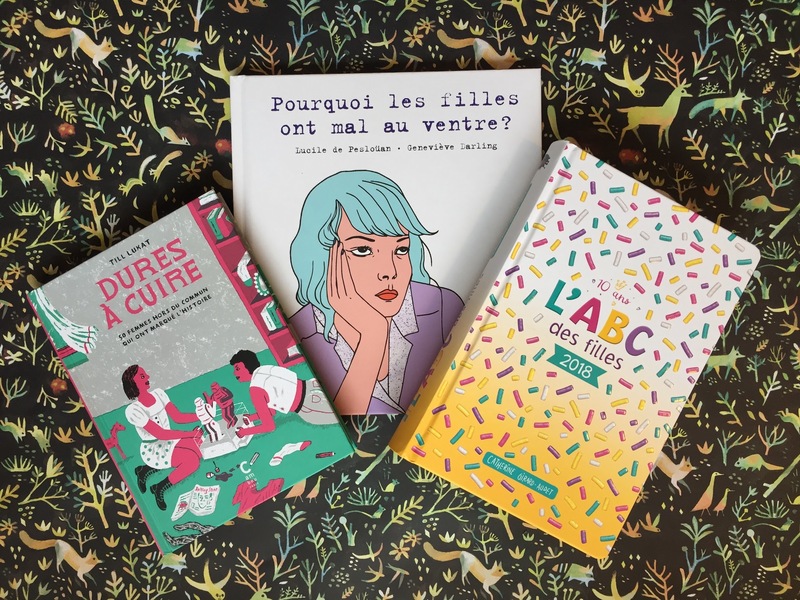 The discussion will be hosted by Librairie Drawn & Quarterly staff member Lauriane Angers-Gauthier. Join us for refreshments and collective insights! Sheila Heti, author of the critically acclaimed How Should a Person Be?, launches Motherhood with Librairie Drawn & Quarterly! 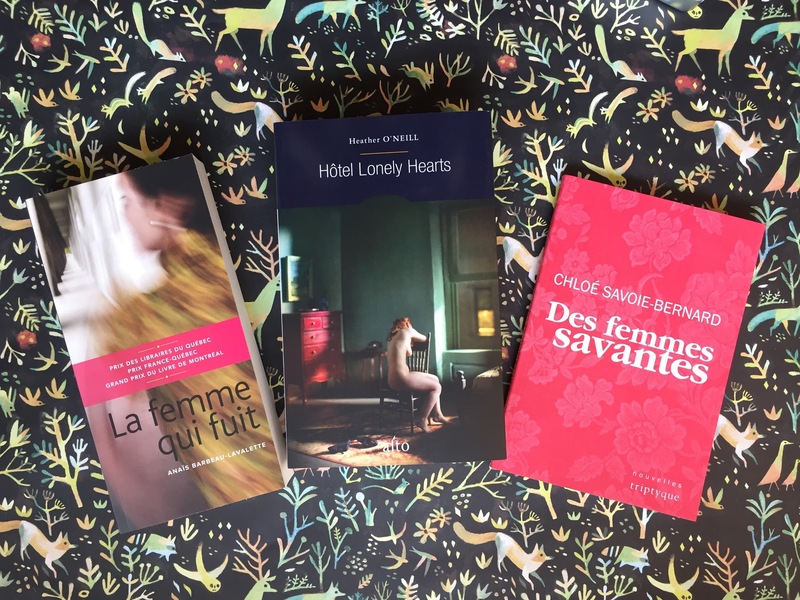 On Thursday, May 3rd, at the Rialto Hall, the accomplished novelist will appear in conversation with Heather O'Neill, award-winning author of Lullabies for Little Criminals and The Lonely Hearts Hotel. Motherhood treats one of the most consequential decisions of early adulthood – whether or not to have children – with the intelligence, wit and originality that have won Sheila Heti international acclaim. Having reached an age when most of her peers are asking themselves when they will become mothers, Heti’s narrator considers, with the same urgency, whether she will do so at all. Over the course of several years, under the influence of her partner, body, family, friends, mysticism and chance, she struggles to make a moral and meaningful choice. 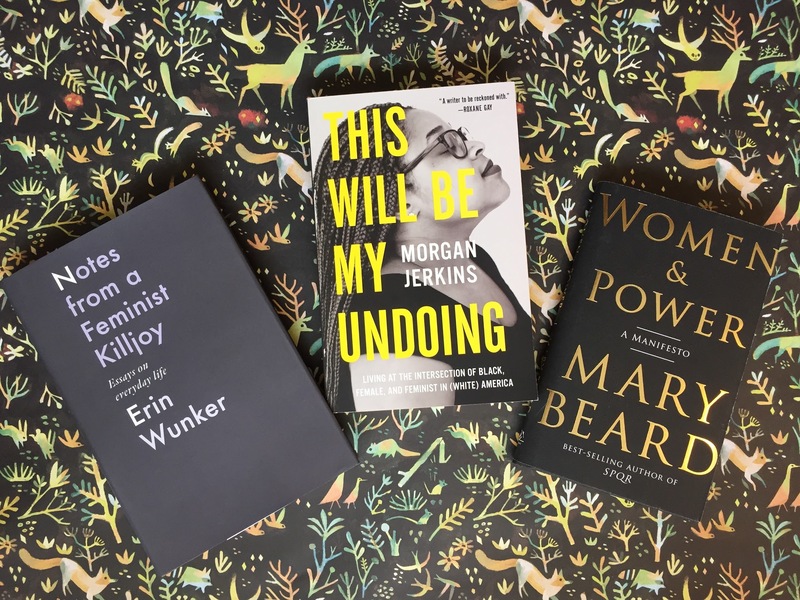 In a compellingly direct mode that straddles the forms of the novel and the essay, Motherhood raises radical and essential questions about womanhood, parenthood, and how – and for whom – to live. SHEILA HETI is the author of seven books, including the critically acclaimed How Should a Person Be? and is co-editor of the New York Times bestseller, Women in Clothes. She is the former interviews editor at The Believer magazine, and has been published in the New Yorker, the London Review of Books, McSweeney’s, Harper's and n+1. Her work has been translated into a dozen languages. She lives in Toronto. Each month we host a Graphic Novel Book Club meeting, open to all, during which we hang out and informally discuss a featured graphic novel. 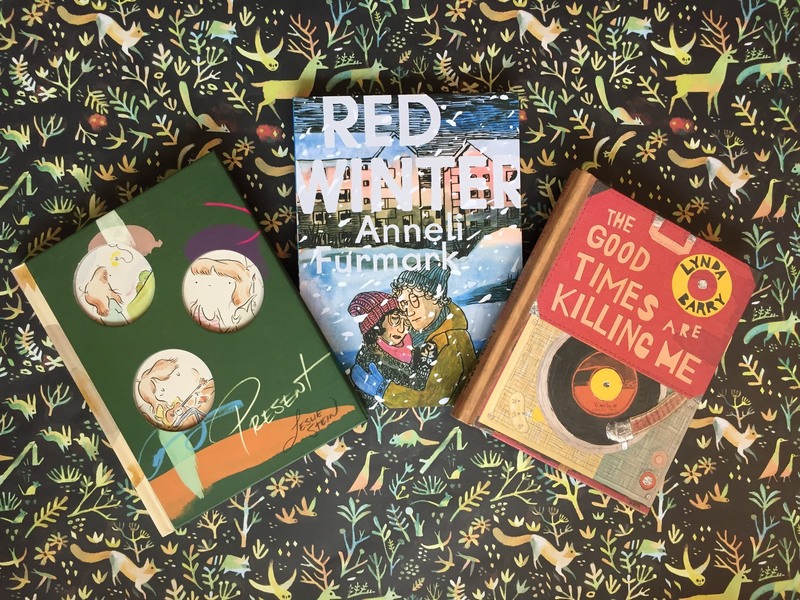 Our pick for this March is Red Winter by Anneli Furmark. We will meet at La Petite Librairie Drawn & Quarterly (176 Bernard Avenue West) on Wednesday, March 21st at 7 p.m. The discussion will be hosted by Librairie Drawn & Quarterly staff member Kennedy Rooke. Join us for refreshments and collective insights! 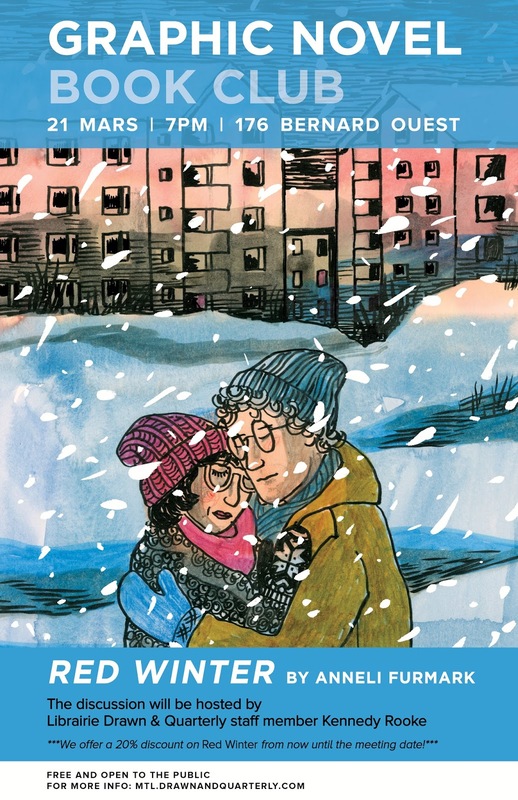 Red Winter is the first book of acclaimed Swedish graphic novelist Anneli Furmark to be translated into English. The relationship between Siv, a married mother of three, and young communist Ulrik unfolds against the wintery backdrop of a remote Swedish town. 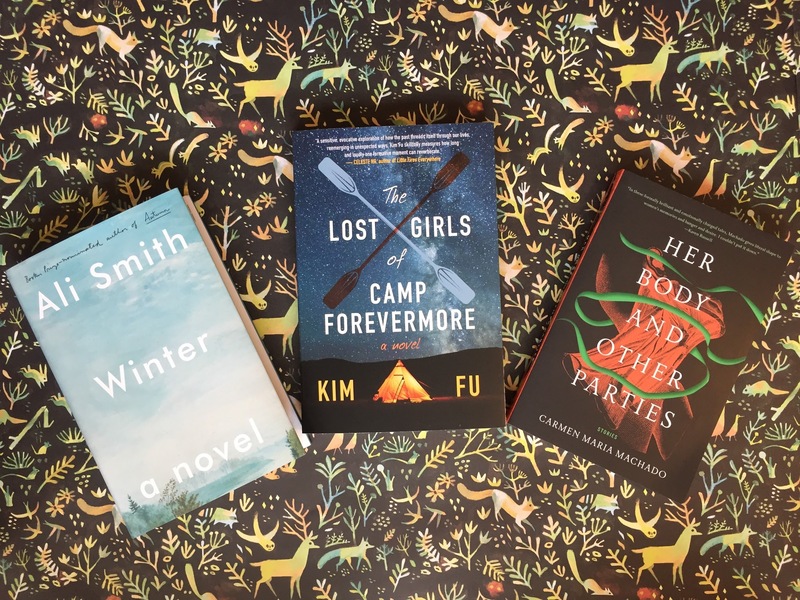 Beautifully rendered in hues of blue and orange and pulsing with the tense political atmosphere of the late 1970s, Red Winter is the perfect read for the cold and snowy months. It's finally here! John's Porcellino's beautiful new book is on the shelves today. 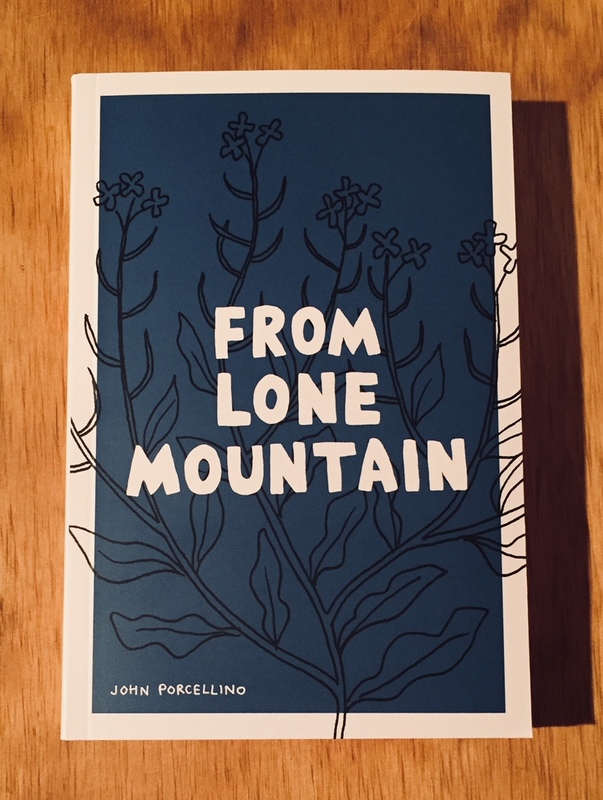 From road trip notes to thoughts on nature, From Lone Moutain forces you to pause and reflect on our fast-paced world - but always with Porcellino's usual quirkiness and humor. 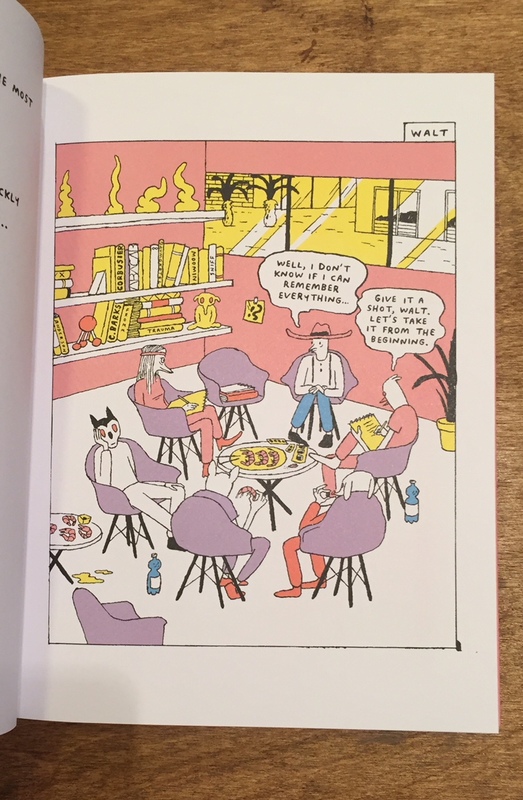 The book collects stories from Porcellino’s influential zine King-Cat—John enters a new phase of his life, as he remarries and decides to leave his beloved second home Colorado for San Francisco. Grand themes of King-Cat are visited and stated more eloquently than ever before: serendipity, memory, and the quest for meaning in the everyday. The New Reads Book Club focuses on contemporary literature and is hosted by Drawn and Quarterly staff members. The book club meetings take place every 4-6 weeks, and is open to all. For our next meeting, on Wednesday, April 25th, we will meet at La Petite Librairie Drawn & Quarterly (176 Bernard O.) at 7 pm to discuss Little Fires Everywhere Celeste Ng. Join us for discussion and collective insight! We regret that the bookstore is not wheelchair accessible. There is a step at the entrance, followed by a half step and a door that opens inward. Once inside, there are no additional steps to access the bathroom, although the bathroom space is narrow. Alcohol will be served. From bestselling author Celeste Ng, Little Fires Everywhere is a riveting novel that traces the intertwined fates of the picture-perfect Richardson family and the enigmatic mother and daughter who upend their lives. The incomparable Michael Ondaatje launches his latest tour-de-force, Warlight, with Librairie D+Q! On Wednesday, May 9th, at the Rialto Hall, the award-winning author of The English Patient will appear in conversation with Eleanor Wachtel, host of CBC's Writers & Company. MICHAEL ONDAATJE is the author of several novels, as well as a memoir, a nonfiction book on film, and several books of poetry. His novel The English Patient won the Booker Prize; Anil’s Ghost won the Irish Times International Fiction Prize, the Giller Prize, and the Prix Médicis. Born in Sri Lanka, Michael Ondaatje now lives in Toronto. Pioneering feminist cartoonist Aline Kominsky-Crumb presents Love That Bunch, autobiographical comics that chronicle the raw, dirty, and unfiltered thoughts of a woman coming of age in the 1960s. Kominsky-Crumb’s darkest secrets and deepest insecurities were all the more fodder for groundbreaking stories that crackle with the self-deprecating humor and honesty of a cartoonist confident in the story she wants to tell. Kominsky-Crumb will appear in conversation with Hillary Chute, author of Why Comics? From Underground to Everywhere, at 7pm on Tuesday, April 24th, at La Petite Librairie Drawn & Quarterly. 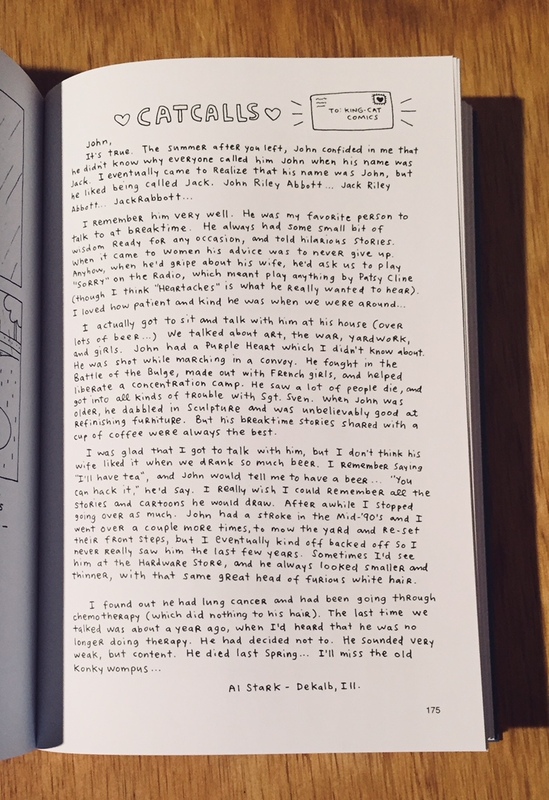 Love That Bunch traces Aline Kominsky-Crumb’s life as a Beatles loving fangirl, an East Village groupie, an adult grappling with her childhood, an 80s housewife and mother, all the way up to a new 30-page story, “Dream House”, that looks back on her childhood. It is shockingly prescient while still being an authentic story of its era. Kominsky-Crumb was ahead of her time in juxtaposing the contradictory nature of female sexuality with a proud, complicated feminism. 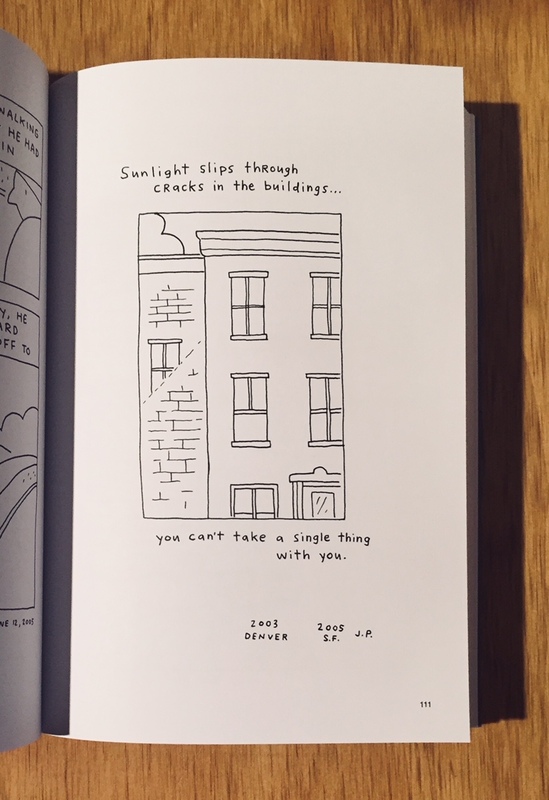 These comics thrum with anxiety and questions about femininity, identity, and family. Aline Kominsky-Crumb was born on Long Island and is one of the most influential cartoonists of the underground era as the cartoonist behind Dirty Laundry Comics and Arcade; a contributor to Wimmen’s Commix; cofounder of Twisted Sisters; editor of the anthology Weirdo and author of the graphic memoir Need More Love. Since the 1990s, she has lived in the south of France with her husband Robert Crumb. In 2017, the David Zwirner Gallery in New York held a joint exhibition of their artwork: Aline Kominsky-Crumb & R. Crumb: Drawn Together. Hillary Chute is the author of, most recently, Why Comics? From Underground to Everywhere (HarperCollins, 2017). 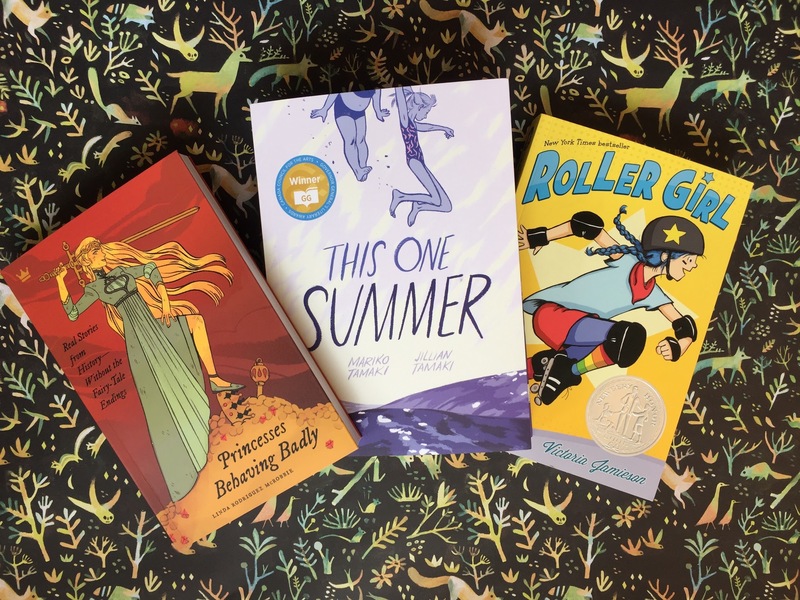 Her other books include Disaster Drawn: Visual Witness, Comics, and Documentary Form; Outside the Box: Interviews with Contemporary Cartoonists; and Graphic Women: Life Narrative and Contemporary Comics. A Professor of English and Art + Design at Northeastern University, she is also Associate Editor of Art Spiegelman’s MetaMaus and co-editor of Comics & Media: A Critical Inquiry Book. She has written for publications including Artforum, Bookforum, The New York Review of Books, and Poetry. Von Spatz is officially out today! Get your hand on a copy to discover the hilarious and somewhat sad story of Walt Disney's stay at the Von Spatz Rehabilitation center, after his infamous nervous breakdown. With a campus that includes studio buildings, a gallery, an art supply store, a hot dog booth, and a penguin pool, the clinic is a paradise for artists in crisis. There Disney meets Tomi Ungerer and Saul Steinberg, and together, they embark on a regimen of relaxation and art therapy. Haifisch looks at the fervent drive and crippling insecurities of the average artist and places those same issues on the shoulders of three celebrated 20th century artists. Part study of isolation, part tale of a begrudging camaraderie, daily life at the center mixes with reminiscences from the world outside. 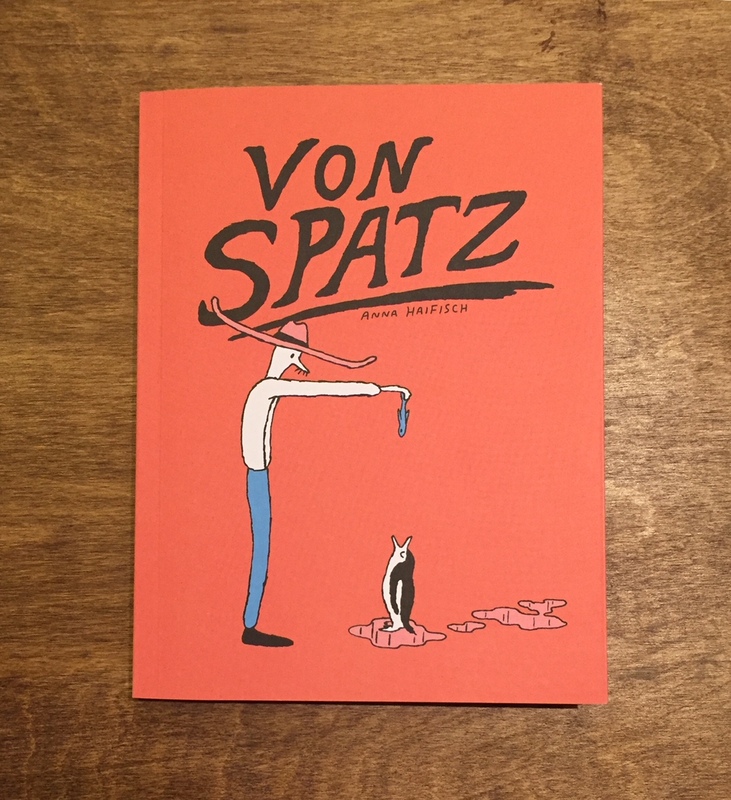 Wryly written, precisely composed, and glowingly coloured, Von Spatz is a hilarious, heartwarming absurdist tale. Please join us for an evening of conversation, reading, and book signing as we celebrate the launch of award-winning author Dimitri Nasrallah's latest novel, The Bleeds. The evening will be hosted by Christopher DiRaddo. From the author of the acclaimed Niko comes an allegory of power and privilege resurrected from the thwarted ideals of the Arab Spring. In The Bleeds, Nasrallah overturns the political thriller to focus on the corroded power structures framing the lives of those most affected by war and insurrection. Born in Beirut during Lebanon's civil war, Dimitri Nasrallah moved to Canada in 1988. His second novel, Niko, won the Hugh MacLennan Prize for Fiction, and was longlisted for CBC’s Canada Reads and the International IMPAC Dublin Literary Award, and has gone on to critical and commercial success in French. His debut, Blackbodying, won the McAuslan First Book Prize and was a finalist for the Grand prix du livre de Montréal. Fiction editor for Véhicule Press's Esplanade Books imprint since 2014, he is currently translating Éric Plamondon's 1984 Trilogy from French to English. The Bleeds is his third novel. Christopher DiRaddo is the author of The Geography of Pluto. He has also published four short stories in anthologies by Arsenal Pulp Press, including the Lambda Literary Award-winning First Person Queer. He is the founder and host of The Violet Hour reading series. *TONIGHT* Eleanor Davis launches Why Art? Join Eleanor Davis as she presents her newest book, Why Art? A work of art unto itself, Why Art? is part pseudo-serious artistic philosophy and part surrealist narrative that seeks to illuminate the highest possible potential an artwork might hope to achieve. The launch will take place at La Petite Librairie Drawn & Quarterly on Thursday, March 8th, at 7pm. Any and all are welcome! What is “Art”? It’s widely accepted that art serves an important function in society. But the concept falls under such an absurdly large umbrella and can manifest in so many different ways. Art can be self indulgent, goofy, serious, altruistic, evil, or expressive, or any number of other things. But how can it truly make lasting, positive change? 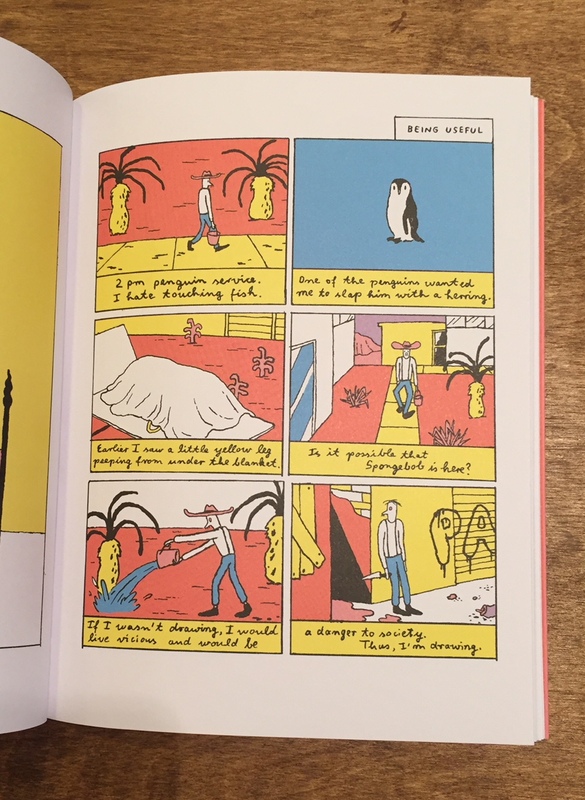 In Why Art?, acclaimed graphic novelist Eleanor Davis leavens her exploration of these concepts with a sense of humour and a thirst for challenging preconceptions of art worthy of Magritte, instantly drawing the reader in as a willing accomplice in her quest. Eleanor Davis has been honoured by the Eisner Awards and has won a Gold Medal from the Society of Illustrators. Her works include How to Be Happy (Fantagraphics Books, 2014) and You & a Bike & a Road (Koyama Press, 2017), and she contributed a short piece to the acclaimed comics anthology NOW (Fantagraphics, 2017). She lives in Athens, GA with fellow cartoonist Drew Weing. 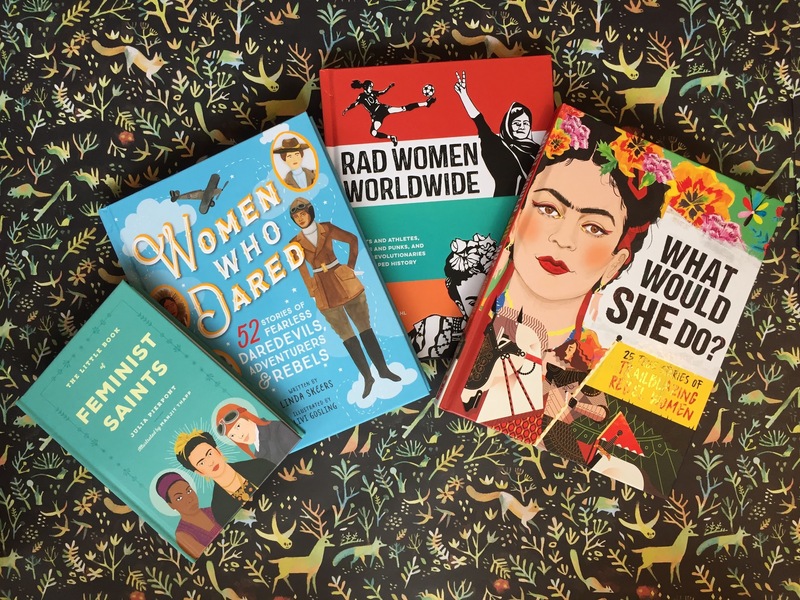 We have made this post to celebrate women writers and women through out history who have persisted. 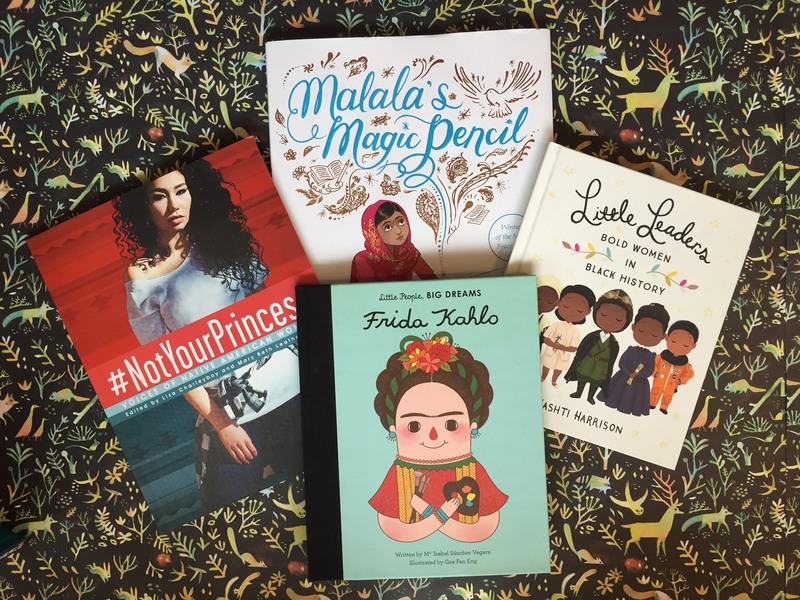 We are proud that our adult and children bookstores carry a wide selection of a diverse and inclusive list of women writers. At Drawn and Quarterly everyday is International Women's Day! 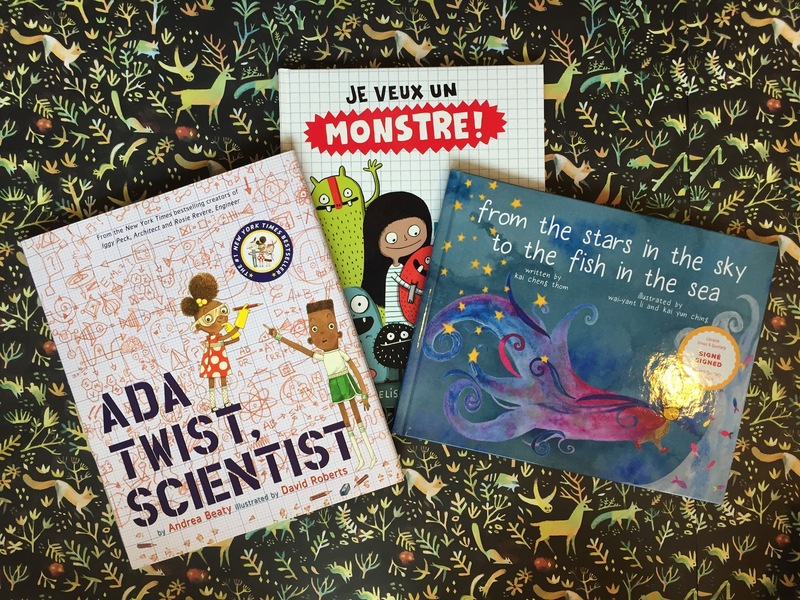 Here is a sampling of some of our favourite fiction, non-fiction, children literature, and graphic novels written by women. 2. Elise Gravel, Je veux un monstre! 4. Kay Woodward, What Would She Do? 2. Lucile De Peslouan, Pourquoi Les Filles Ont Mal Au Ventre? In tandem with Nuit Blanche, Mile End bookshop Librairie Drawn & Quarterly partners with Montreal-based publisher Metatron for a gathering of nighthawks and poets. Festival-goers are invited to experience 'Exquisite Corpse'—a surreal evening of collective curiosity. Known for their unique and dynamic events, Metatron has curated an evening that will not only feature an interactive, digital, collective writing experiment, but also a marathon-style reading featuring a dozen young, local writers. Come for a bit or stay for the whole thing! We have a numinous evening in the works to stimulate your mind with exquisite musings! Drawn & Quarterly, librairie du Mile-End, s’associe à l’éditeur indépendant montréalais Metatron pour un rassemblement de noctambules et de poètes. Les festivaliers sont invités à participer à « cadavre exquis », un jeu d’écriture collectif surréaliste. Des auteurs de Metatron nous feront le plaisir d’une lecture et dirigeront un atelier d’écriture « alt ». On March 23rd, 2018 at 7 p.m., you are invited to join Jeff Derksen -- poet and co-founder of the Kootenay School of Writing-- for a reading and conversation with Montréal writer and professor Gail Scott at La Petite Librairie Drawn & Quarterly (176 Bernard O.). Co-hosted by: Études anglaises at the Université de Montréal & the Canada Council for the Arts. Jeff Derksen’s poetry books include The Vestiges, Transnational Muscle Cars, Dwell, Until, and Down Time. Recent poetry has been published in Tripwire and Politics/Letters. His critical books are After Euphoria, Annihilated Time: Poetry and other Politics and How High Is the City, How Deep Is Our Love. He collaborates with Sabine Bitter and Helmut Weber on visual and urban projects under the name Urban Subjects: their bookworks include The Militant Image Reader, Autogestion, or Henri Lefebvre in New Belgrade, Momentarily: Learning from Mega-events, and they recently edited a visual and poetics issue of Camera Austria on sincerity. He’s currently the Dean of Graduate and Postdoctoral Studies at Simon Fraser University and is also on the Talonbooks poetry board. Outside of that, he works on housing issues and against gentrification.